Why did we launch NapaShakes? California’s Napa Valley is a place of spectacular scenic beauty, and home to legendary wineries, resorts and restaurants. Names like Screaming Eagle, Bottega and the French Laundry resonate around the world for those seeking to savor the good life in abundance. One of the world’s top travel destinations, it attracts millions of cultured and sophisticated visitors every year, and is a second home to some of the area’s most wealthy, educated, creative and influential residents from San Francisco to Silicon Valley. 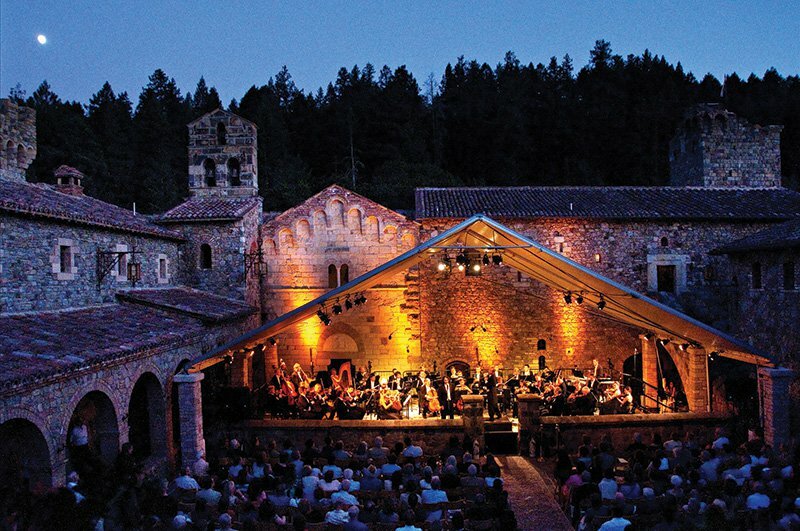 Major music festivals, including Festival del Sole and Live in the Vineyards, attract internationally-renowned musicians and recording artists to perform on vineyard stages, concert venues, and in barrel-rooms. A first-class Napa Valley Film Festival gathers stars and leading filmmakers to premiere their work for enthusiastic audiences. And several of the most important annual wine auctions, including Auction Napa Valley and Premiere, bring elite collectors and industry giants from around the world to bid on rare wines and extraordinary experiences, raising tens of millions of dollars for charity. In short: Napa Valley offers the best of the best, but…. When it comes to theatre, the Napa Valley has no professional regional theatre commensurate with the sophistication of its audience. Theatre enthusiasts must instead travel to Berkeley or San Francisco to see regional theatre productions, and to Ashland, San Diego, New York or London to enjoy professional performances of Shakespeare and other classical theatre on a major scale. And while Napa Valley has a dynamic local school, college, and community theatre presence, local students rarely get to see a fully professional company perform Shakespeare or other classical theatre live on stage. NapaShakes has already changed the lives of 1100 Napa Valley students by bringing them a free performance from the Shakespeare’s Globe Theatre of London – and we can do more! Bringing Napa Valley the Theatre it Never Knew it Always Wanted! NapaShakes will elevate theatre to its rightful place among Napa Valley’s abundant cultural and sensory offerings. A world-class destination deserves world-class theatre. Performances of the great plays must be commensurate with the quality of the food, the wine, and the scenery, and equal to the expectations of the discriminating local residents and visitors. 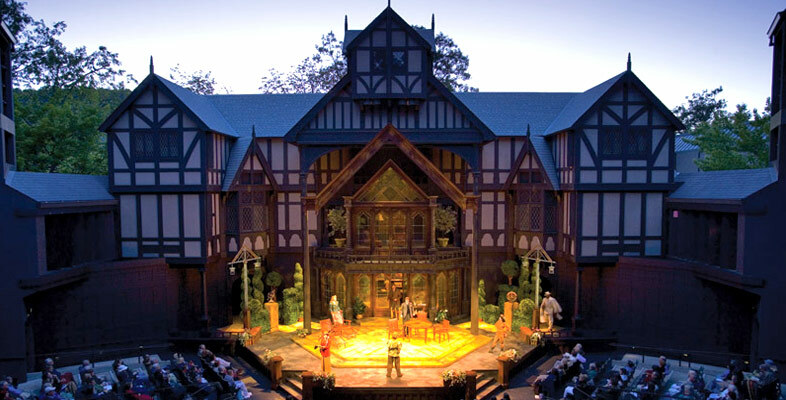 Napa Valley dwellers seeking to sample the varieties of Shakespeare shouldn’t have to migrate annually to Ashland, and visitors should be able to number spectacular theatre among the many reasons to choose Napa Valley as their destination. Our residents and visitors are the ideal audience to appreciate sustained excellence in theatre. They understand the value of fleeting pleasures: the incredible meal well-remembered, or that exceptional bottle of wine that can still be tasted years later. Attending theatre is another shared, but transitory experience that can never be experienced the same way twice, making each performance that much more precious. Against this backdrop of extraordinary food, wine and scenery, Napa Valley provides the perfect location to showcase Shakespeare in a way that excites all the senses and nourishes the soul. Bringing world-class professional Shakespeare and classical theatre to the Napa Valley will also be great for our economy — Ashland’s Oregon Shakespeare Festival brings over $250M to its local economy, and generates substantial local tax revenue. Because his canon is the root-stock from which so much creative expression has been cultivated. An endless source of inspiration, Shakespeare’s words and phrases have shaped the English language in ways large and small. His complex characters, universal stories and lyrical flair have made him one of the greatest playwrights and poets in history. His work represents the pinnacle of performance art, challenging each generation’s greatest actors to put their own stamp on the iconic roles he created. His writing not only inspired other dramatists, choreographers, filmmakers, authors and composers, but it continues to resonate in popular culture today. While NapaShakes will eventually expand to include other classic playwrights, Shakespeare will remain the foundation upon which we will build all that follows.